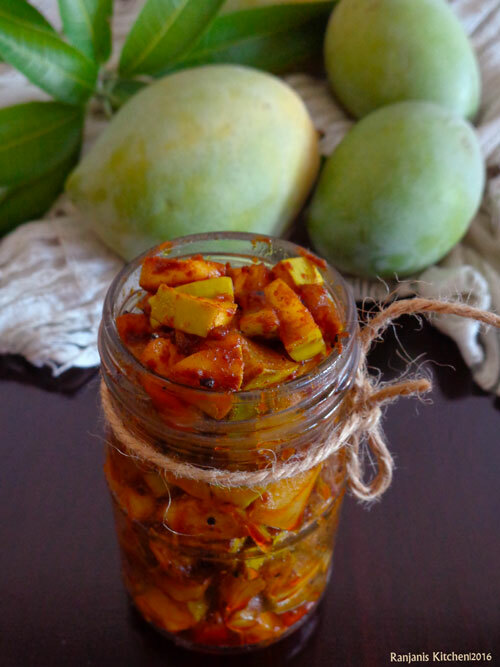 Instant mango pickle using raw mangoes. 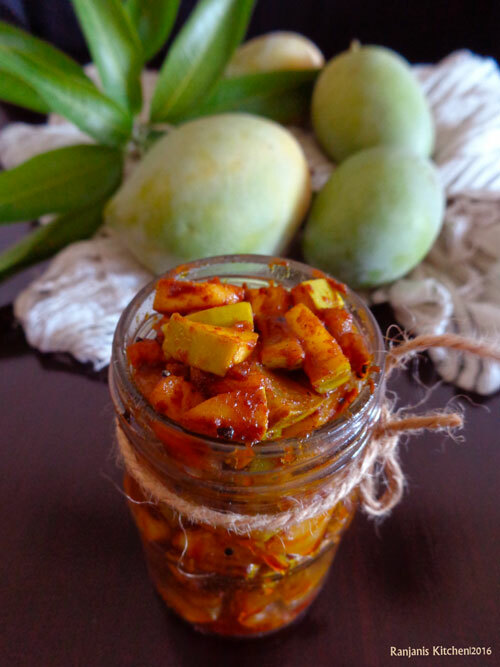 Simple yet lip-smacking pickle recipe to have with curd rice. When mango season is up, this is usual preparation at home. It can be prepared without seasoning also. 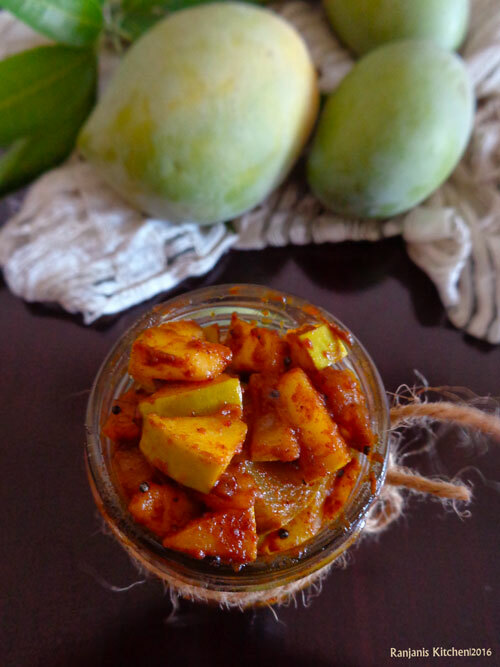 The simple blending of salt and chili powder will go wonderfully with any rice.Check out some of the mango recipes here. Cut the raw mango, remove the seed and stem in the centre, chop into fine and equal small pieces. Heat a kadai, add oil , after it gets heated add mustard. After it splutters, add chili powder, coriander powder, fenugreek powder, and hing. Keep the flame low and saute for a second. Then add chopped mango pieces and salt. Stir in medium flame for 5 to 8 minutes. Add oil in between if needed. Turn off the flame and serve with curd rice or any rice varieties. You can preserve this in a refrigerator for one week. It keeps fresh for 2 days if it is not refrigerated. We can use refined oil also in place of gingelly oil. 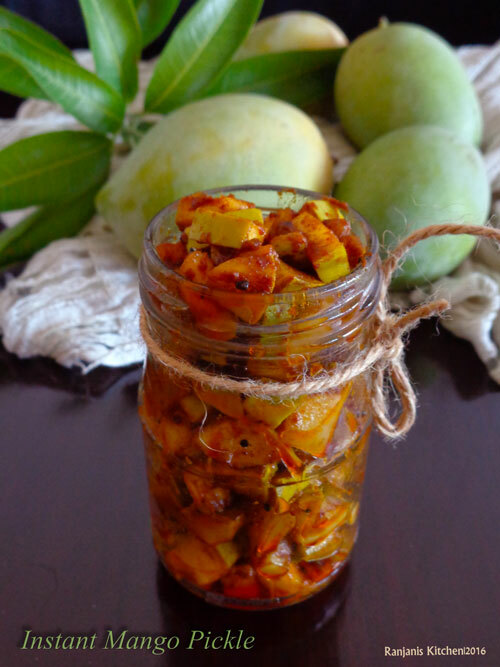 Make small batches as we can prepare this instant pickle in 10 minutes. While sauteeing the spice powders , keep the flame low. Overheat will burn the masalas easily.